The End of the Refugee Cycle? 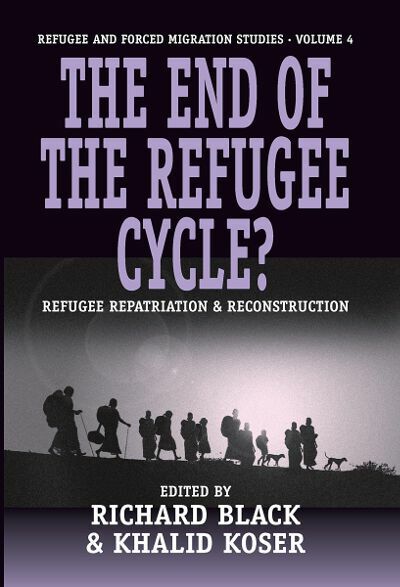 At the start of the 1990s, there was great optimism that the end of the Cold War might also mean the end of the "refugee cycle" - both a breaking of the cycle of violence, persecution and flight, and the completion of the cycle for those able to return to their homes. The 1990s, it was hoped, would become the "decade of repatriation." However, although over nine million refugees were repatriated worldwide between 1991 and 1995, there are reasons to believe that it will not necessarily be a durable solution for refugees. It certainly has become clear that "the end of the refugee cycle" has been much more complex, and ultimately more elusive, than expected. The changing constructions and realities of refugee repatriation provide the backdrop for this book which presents new empirical research on examples of refugee repatriation and reconstruction. Apart from providing up-to-date material, it also fills a more fundamental gap in the literature which has tended to be based on pedagogical reasoning rather than actual field research. Adopting a global perspective, this volume draws together conclusions from highly varied experiences of refugee repatriation and defines repatriation and reconstruction as part of a wider and interrelated refugee cycle of displacement, exile and return. The contributions come from authors with a wealth of relevant practical and academic experience, spanning the continents of Africa, Asia, Central America, and Europe. Richard Black is Lecturer in Human Geography at the School of African and Asian Studies, University of Sussex, where he moved in 1995 from King's College, London. Khalid Koser is Research Fellow in the School of African and Asian Studies, University of Sussex and was previously Research Fellow in the Migration Research Unit at University College, London. Chapter 1. The End of the Refugee Cycle? Chapter 2. Researching Repatriation and Reconstruction: Who is Researching What and Why? Chapter 6. Repatriation from South Africa to Mozambique – Undermining Durable Solutions? PART IV: FROM REPATRIATION TO RECONSTRUCTION?